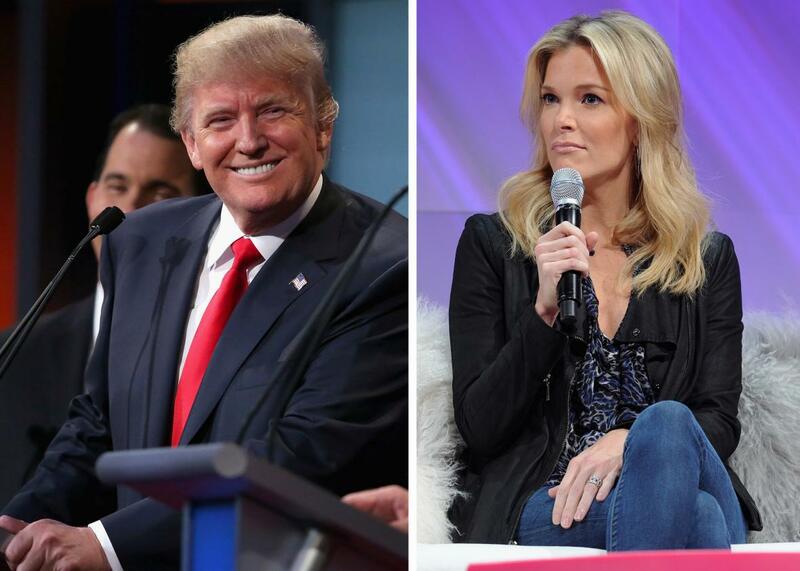 RedState dumps Donald Trump from event after he insults Fox’s Megyn Kelly. In this composite image, Republican presidential candidate Donald Trump participates in the first prime-time presidential debate on Aug. 6, 2015, in Cleveland, Ohio. At right, Megyn Kelly speaks at the David Koch Theatre at Lincoln Center on Nov. 8, 2014, in New York City. It was not the “blood coming out of her eyes” part that was the problem. But I also think that while Mr. Trump resonates with a lot of people with his bluntness, including me to a degree, there are just real lines of decency a person running for President should not cross. His comment was inappropriate. It is unfortunate to have to disinvite him. But I just don’t want someone on stage who gets a hostile question from a lady and his first inclination is to imply it was hormonal. It just was wrong. It is a shame that a candidate for President confuses political correctness and common decency. Just to be clear, "weak" and "pathetic" is blaming a tough question on hormones.
.@redstate I miss you all, and thanks for all of your support. Political correctness is killing our country. "weakness."